The Leather Re-Colouring Balm renovates the colour and aspect of all leather items both old and new. There are many colours formulated for use on leather from a dark to light shade. It works great at re-colouring areas that have been exposed to sun light or direct heat, and is ideal for colouring cat scratches and re-colouring dried out and faded areas. The re-colouring balm 100% absorbs into your leather so will not rub off onto any clothes. NOTE: Each colour is split into three shades, this is to indicate that each colour balm works on those different shades of the colour, i.e. from a light to dark shade. So the more balm you apply, the darker the leather becomes, this is why you are able to achieve varying shades of a colour. Below are a few examples of use, take a look at the Additional Images tab to see many more. 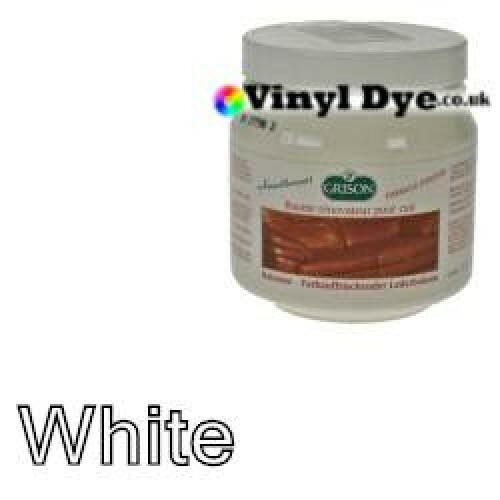 Leather Re-Colouring Balm can be used on all different articles of leather, from furniture and car interior to clothes, shoes, handbags and even equestrian leathers. It works on all colours of leather and all different grain types. NOTE: for scratches, the re-colouring balm will only work if the scratch has gone to a lighter colour than the leather. You should always spot test a product in an inconspicuous area prior to full application. 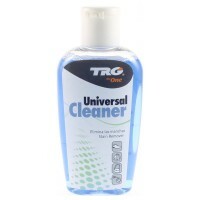 Clean the leather first before applying the Balm, for best results use TRG Universal Cleaner - This is because it cleans the leather to remove all dirt and also opens up the pores of the leather so the Re-Colouring Balm will take to the leather in a better fashion. Rub the Balm into the leather in a circular motion to ensure penetration. This is enough to completely restore the colour. Take a clean cloth and then buff the surface of the leather. Make sure there is no excess Balm left on the leather. After buffing, the leather becomes 100% colourfast. 300ml of Balm is enough to re-colour a full leather three piece suite. Only one application is necessary. With use, the leather will fade again over time as it did prior to application. The Balm is generally re-applied once every three years. The product will safely last 5 years if stored in a cool cupboard with the lid fastened.